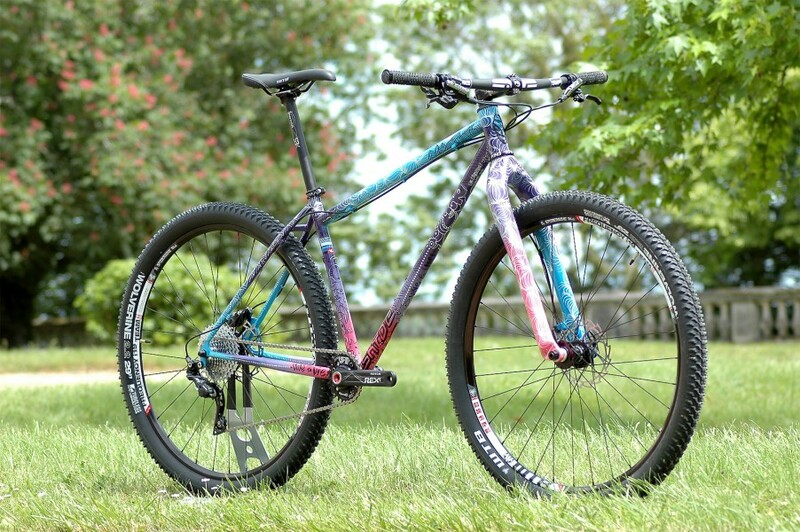 We caught sight of Skyde’s titanium bikes at Roc d’Azur last October, it was hard not to with the, erm, flamboyant paintjob of the bike featured below. Now we’ve had a bit more information from the brand that is increasingly popular in France and Belgium. 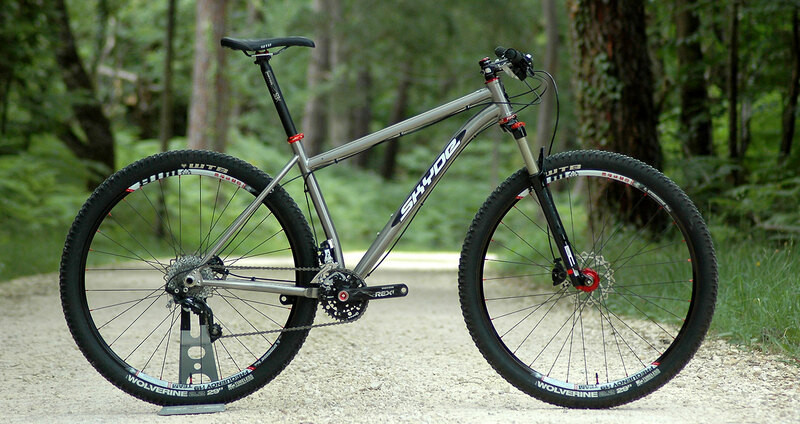 The Dordogne based company currently offers five frame models ranging from 27.5 and 29er mountain bikes to a cyclocross/gravel bike, a road bike and the inevitable fat bike too. 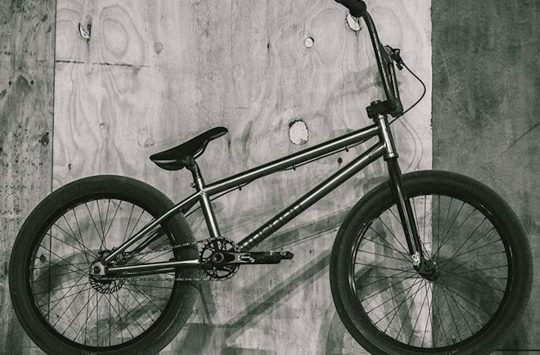 All models are available as frame only, frame + head Set + fork kits and/ or full bikes. 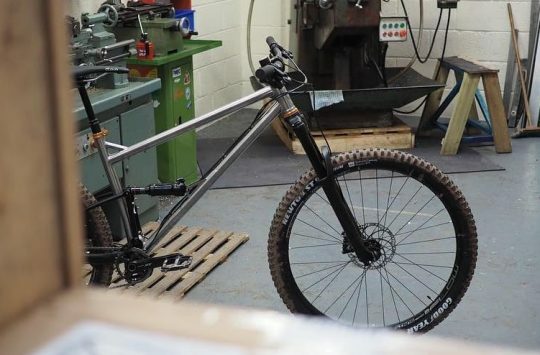 Geometries look to be very traditional cross country, and both the 27.5 and 29er frames are designed around short travel forks, which probably reflects the popularity of XC and Marathon racing across the channel. 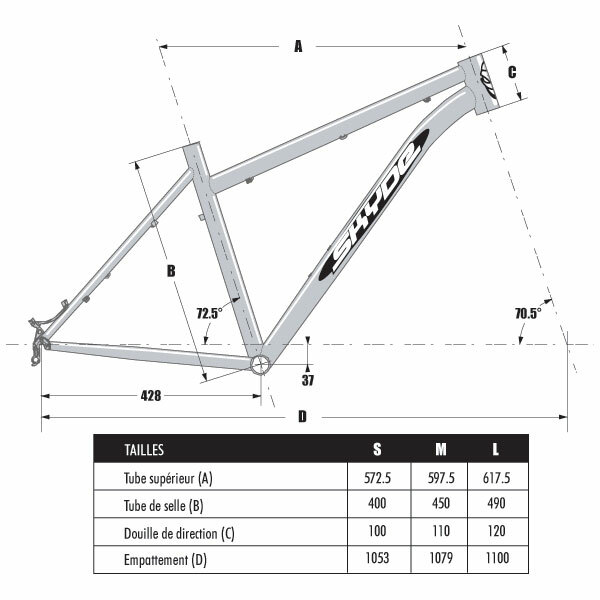 “Our titanium frames are all hand-built in Europe with european titanium. 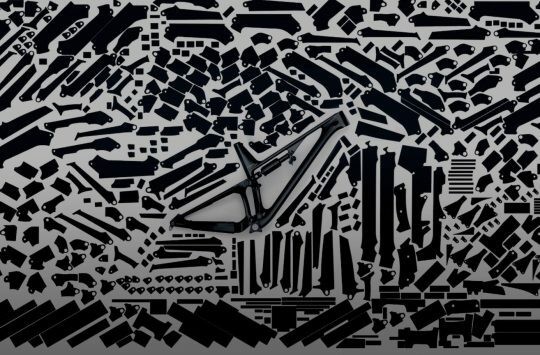 Each frame design and geometry is the fruit of our uncompromising passion for comfortable, performance and high quality bikes. Our motto is direct and describes perfectly the experience of riding any one of our bikes: SKYDE simply authentic! 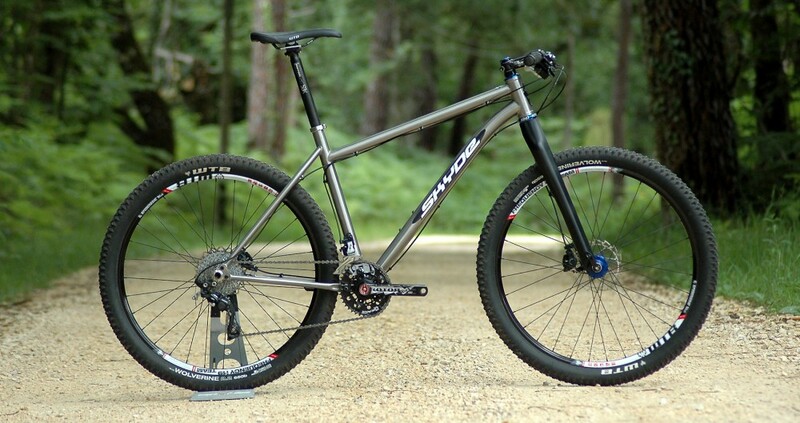 Full bikes from are priced from €2499, frames from €1899. I like the roundy bits but equally I like the metal bit inbetween too. 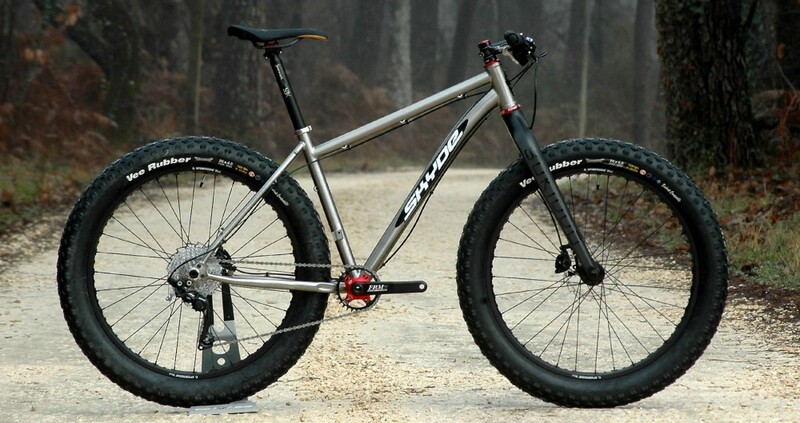 The rigid fork(s) look good…..